Latonya Dilligard Edwards proposed the Girls of Promise program to Upsilon Omega Omega in 2010. This innovative program is a signature program for young girls and provides another avenue to strengthen the legacy of black women. Girls of Promise Mentoring Program has been implemented at H.B. Rhame Elementary School since September 2010. The program began as a program serving approximately fifteen fifth grade girls but has blossomed into a program that now serves all of the fifth grade girls at H.B. Rhame Elementary School. The program has since expanded with Boys of Purpose and now includes all of the fifth grade boys as well. The program utilizes bi-weekly lunchtime meetings to address issues such as self-esteem, bullying, reading and literacy, body image, and culture. 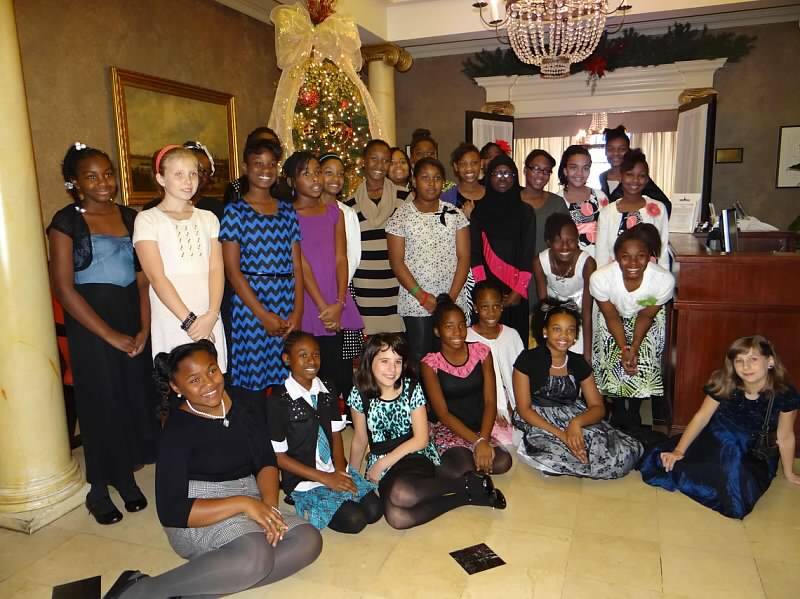 The highlight of the program is the Girls of Promise Day at the Ballet, where the participants are taken to a Christmas ballet followed by lunch at the Capital City Club to dine among successful business women and men in the community.